SEO services such as search engine marketing, web promotion, Social Media Marketing etc, stay which top position. Search Engine Optimization (SEO) is a set of methodologies aimed at improving the visibility of a website in search engine listing. Search Engine Optimization (SEO) involves the careful optimization of corporate web sites to effectively increase their visibility in the major search engines such as Google, Yahoo, Alta-Vista, and many others. Search Engine Optimization uses a combination of techniques, tools, and technical know-how to get results. These Search Engine Optimization methods leverage knowledge gained from a scientific understanding of the inner workings of search engines. 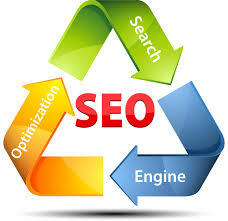 SEO (Search Engine Optimization) is one of the most important elements for online marketing strategy. If your web site does not bring in quality traffic then your online marketing campaign is not working properly. Your company is losing business! The goal for any online marketing is increase in sales and you can achieve it by placing your web site on the top of the major search engines and directories. What methods do we use to improve your Search Engine Placement? We help you find the right choice for your business.